A vigorous climbing annual that begins to produce within 60 days after sowing. It bears slender, rich green round pods, ranging from 40 to 70 cm long and hang in pairs. 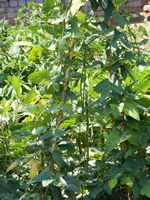 Yard long Beans are subtropical/tropical plants and are widely grown in Southeastern Asia, Thailand and Southern China. Orient Wonder is superior to similar varieties for its flavor and ability to grow in a wide range of conditions. Although it thrives in warm humid areas, it sets fruit better in cool or drier weather. It must be trained to climb a vertical support and the pods must be harvested while still smooth and tender, about the diameter of a knitting needle/pencil and 35 - 45cm long. 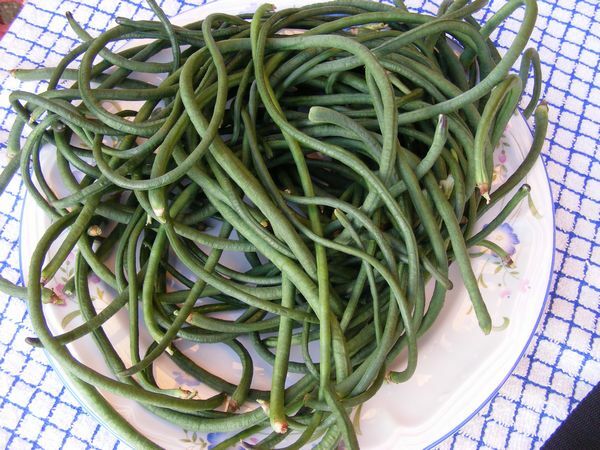 In warmer climates yard long beans need to be harvested daily because they can grow up to 10cm a day. We are situated between Pretoria and the Hartbeespoortdam - I found that I can harvest every second day. Prepare fertile, well-drained soil and direct sow seeds in spring/ early summer - after the last frost. Needs a warm, sunny position and keep keep soil moist. The crisp, tender pods can be eaten fresh or cooked. 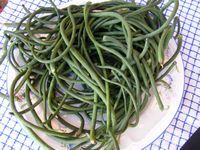 They can be cut into short sections and is best cooked in oil as a stir-fry, sautéed or deep fried - or used in cooked salads. 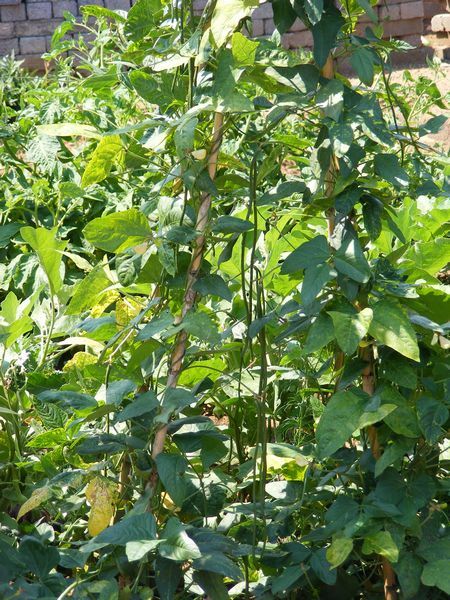 The beans - best if picked for culinary use when they are young and slender - before they reach full maturity. Good source of protein, vitamin A, vitamin C, thiamin, riboflavin, iron, phosphorus, potassium, folate, magnesium and manganese. In a serving size of 100 grams of yard long beans there are 47 calories, 0 grams of total fat, 0 mg cholesterol, 4 mg sodium (0% daily value), 8 grams of total carbohydrates (2% daily value), and 3 grams of protein (5% daily value). There is also 17% DV vitamin A, 2% DV iron, 31% DV vitamin C, and 5% DV calcium. (Percent daily values are based on a 2000 calorie diet. Individual daily values may be higher or lower depending on individual calorie needs.